Video of Honoring the Legacy of Martin Luther King Jr.
Every January, Not In Our Town honors Dr. Martin Luther King’s legacy by sharing the real life stories of people who are applying Dr. King’s principles today. 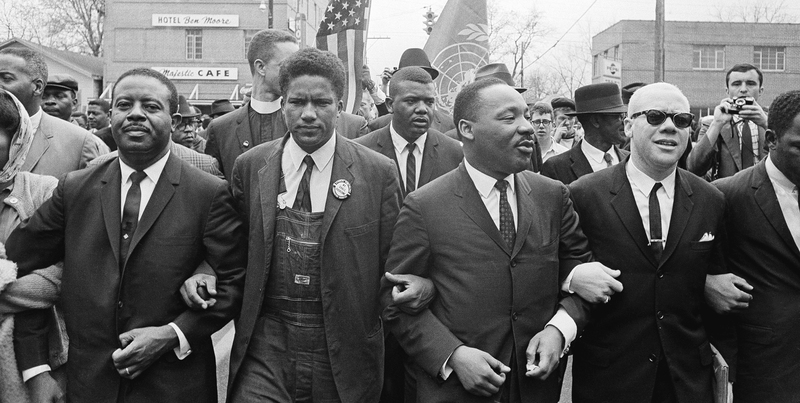 Though the political landscape has changed since the Civil Rights era, his dream that the United States would fulfill its promise of equality has yet to become reality. But Dr. King’s work proves that change is indeed possible in this country. The communities in Embracing the Dream: Lessons from the Not In Our Town Movement are living proof of that — town by town, school by school, they demonstrate that change is happening. Watch their stories below. What will you do this Martin Luther King Jr. Day - Monday, January 21 - to Embrace the Dream? Also, check out how others are using these films, and download the discussion guide to Embracing the Dream here. After a series of racist incidents in Bowling Green, Ohio, students and community leaders join forces to build a Not In Our Town campaign to respond and create a plan for long term efforts to address racism and intolerance. (13:00). After seven high school students assaulted and killed Ecuadorean immigrant Marcelo Lucero in Patchogue, N.Y., local educators created a safe environment where students could express their feelings about the tragedy, and share their ideas about diversity, immigration, inclusion and respect (3:55). When an African-American resident of the small Northern California town of Anderson woke one winter morning to an 8-foot-tall burning cross on her lawn, neighbors quickly organized in support of her and her young family (5:33). When Fred Phelps’ hate group pickets at Lowell High School in San Francisco, students rallied to show their love for their diverse, inclusive community (3:07). At Shaw High School in East Cleveland, Ohio, high school students mentor younger students in how to be an upstander, not a bystander, when faced with bullying and intolerant acts (5:47). Embracing the Dream is availalbe on DVD! You can purchase this DVD below.